NOW with a vegetable base containing carrot, spirulina, alfalfa, artichoke leaf, beetroot, acai berry and acerola giving EXTRA phytonutrients. Please note that in recent months this product has been significantly improved. However it is now recommended for general well-being and maintenance of health. The same goes for fortified foods. There’s a good reason for this. Synthetic vitamins are cheaper to make and usually more stable. This means they can last on shelves for months or years, be added to foods in high doses, and create dense tablets that won’t be too big to take along with some fillers and binders. These vitamins are allowed to call themselves “natural” even when they are synthetic because they are considered virtually identical to the ones found in food. This particular supplement is combined in a base of friendly pro-biotic species called lactobacillus bulgaricus which is a native inhabitant of the human tract. The benefits to this supplement are; Extremely low allergy risk due to this pro-biotic fitting into the normal metabolic pathways. Neutral taste as well as smell. Suitable for vegetarians. Body by nature's Wholefood supplements are unique in that they are made from minerals that have been hydroponically-grown into a cruciferous vegetable that is a member of the broccoli family of vegetables. This plant is an edible species which has a great capacity to bio-accumulate high levels of minerals to enable good levels to be achieved in small doses of supplementation. These are the only genuine Wholefood supplement products on the market, and early research testifies to their superb bio-efficacy. 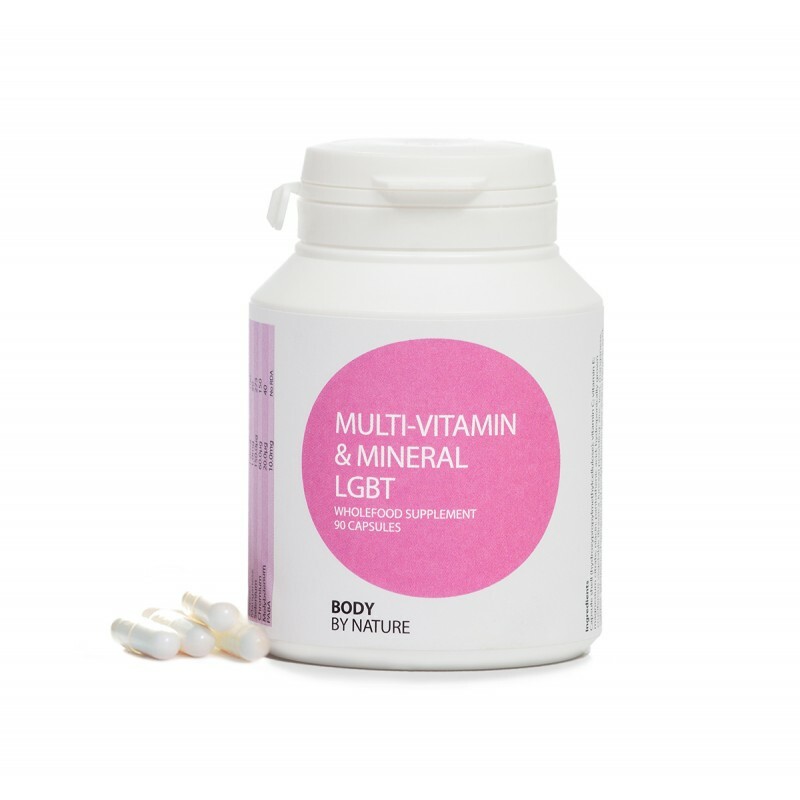 All our Wholefood products use food metabolic pathways, are suitable for vegans and in capsules. 2 capsules daily for adults and children of 12 years and over. Do not exceed the recommended daily intake. This product should not be used as a substitute for a varied diet. *RDA = Recommended Daily Allowance. 2 capsules provide the following, Capsule shell (Vegetable Cellulose); hydroponically grown cruciferous vegetable (Brassica Juncea) providing: zinc; iron; manganese; copper; selenium; chromium and molybdenum; fruit & vegetable powder blend (carrot, spirulina, alfalfa, artichoke leaf, beetroot, acai berry, acerola) incorporating: vitamin C; vitamin E; pantothenic acid; niacin; beta carotene; PABA; thiamin; P5P; vitamin D3; riboflavin; vitamin K; vitamin B12; folic acid as methylfolate and biotin, magnesium citrate, boron, and iodine. Suitable for Vegetarians, vegans and for people with Candida and yeast sensitivities.